Welcome to week two of my resolution to write a post every week of this year. I made this Borscht several days ago, but have not found time to write the post, until now. Butter is outside, my girls are playing nicely and quietly upstairs, my laundry load is in the dryer (and has been since early this morning), toilets are swished (hahaha), and I have a few minutes to tell you a story. Once upon a time there was a dog named Butter, who was born February 4, 2013. Butter liked a lot of things, but most of all, she liked to chase the ball (obsessively), bark at the cat (obsessively), and jump on people (obsessively). You get the gist. She has also been known to enjoy a yummy bowl of Borscht, with fresh dill and fresh yogurt cream right off the counter now and again. The end. Good story? Friends, my family will have this dog for at least 13-15 years by my calculations. If you keep reading my blog, I might continue telling you more stories about Butter. 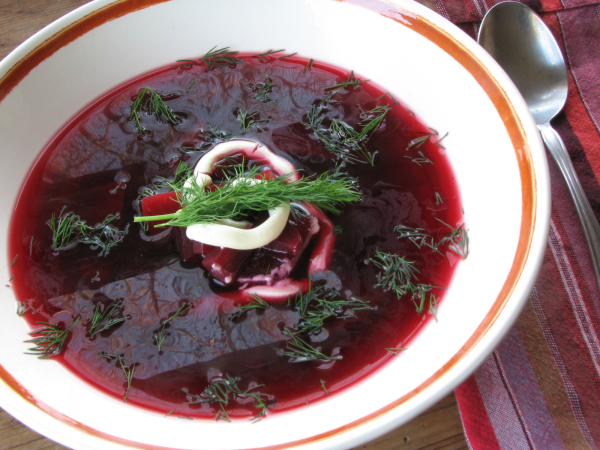 If you continue reading this post, I will tell you more about my borscht. This is week two of Reddit’s 52 weeks of cooking challenge. This week’s theme is Polish. My thoughts drifted to our csa offerings right now. 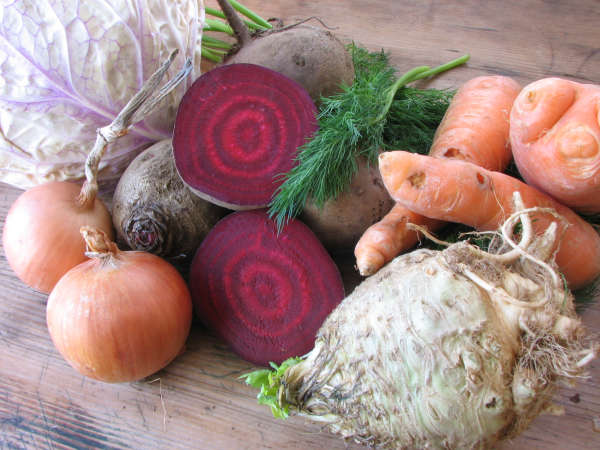 During this lean season we are getting lots of root vegetables; beets, cabbages, carrots, celery roots, parsnips, onions, kohlrabi… I have not really posted anything about beetroot since my roasted beetroot hummus, so I thought I would make something with beets. 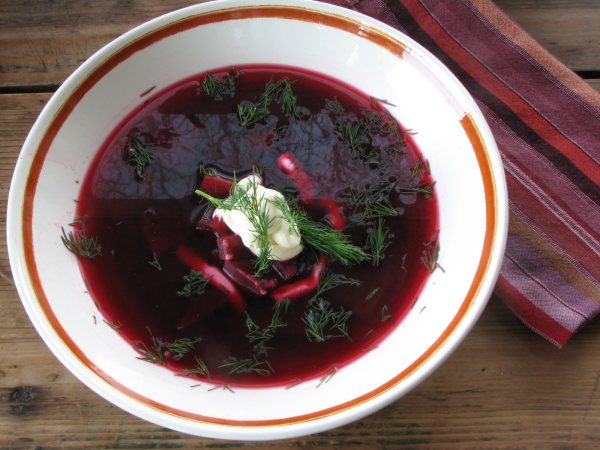 Borscht is a classic Russian beet soup. I figured Poland had to have something similar. 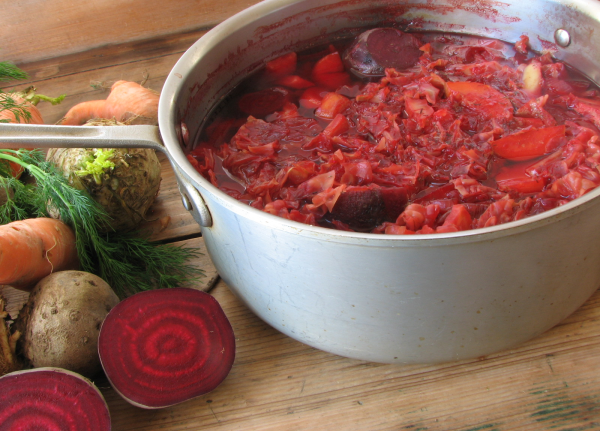 While looking through cookbooks, and the internet, I found Barszcz, Polish Borscht. I don’t ever recall having beets as a very small child, although I am sure my parents included them in our meals. My first memory of eating beets was when I was in High School. My whole family started going on this weird diet called “The Cleveland Clinic Diet, when we all felt we needed to drop about five or ten pounds. Sure enough, after the intense three day diet, our jeans all fit a bit looser, and we were more bonded as a family due to the sheer torture we all just experienced together. Anyway, these julienned beets out of a can, were the best thing about this diet. To this day, beets still taste like candy to me. I have never made a borscht before, and when offered it, have never wanted to try it. Maybe it was the color, maybe it was the texture, I definitely had an aversion to it. 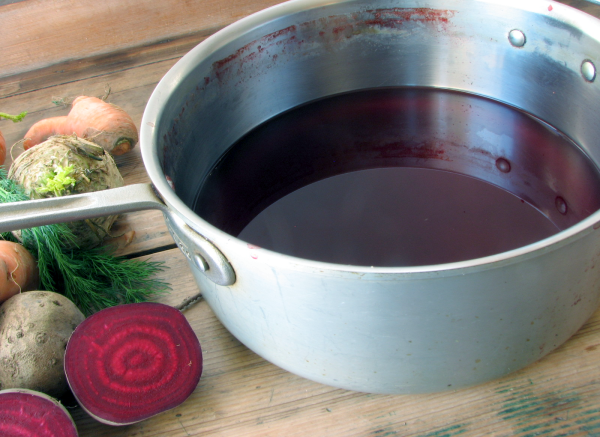 I just could not wrap my head around beets as soup. Years ago I was working and playing in NYC. My dear friend Kimberlee and I often went out to eat at this small trendy, divey restaurant named Veselka (Thank you Kimberlee!) that specialized in Borscht. She always ordered it, and ate it savoring, and loving every bite. Having never tasted it, I never truly understand her love of Borscht. Over the Summer, Oakhill Organics, our full diet csa, threw a absolutely delicious appreciation dinner for their members, and had it catered by Red Fox Bakery, a local bakery in town. One of the courses was borscht. I tried it, and really loved it. In fact, I wanted another bowl, or two but did not want to seem piggish. Needless to say, I now fully understand the love of a great beet soup. As with most things I am cooking there is a 60%/30% chance, it will actually be edible. I just threw all my ingredients in the pot, and rolled the dice. After straining the veggies out, the beet broth was delicate, pretty, and flavorful, on its own. When I added the beets, vinegar, yogurt cream, and fresh dill, the broth was transformed into a bright, shiny, delicious experience. You can enjoy this soup at room temperature, cold, warm or hot. Feel free to blend some beets with yogurt cream, or sour cream and add them back to the soup, for a more unctuous treat. This recipe was inspired by tons of recipes online, and cookbooks, as well as the burning desire to replicate the Red Fox recipe. Hope you all enjoy this Polish Borscht (Barszcz) as much as my family and I do. Hi Hanna! You are too kind, thank you for all your support! 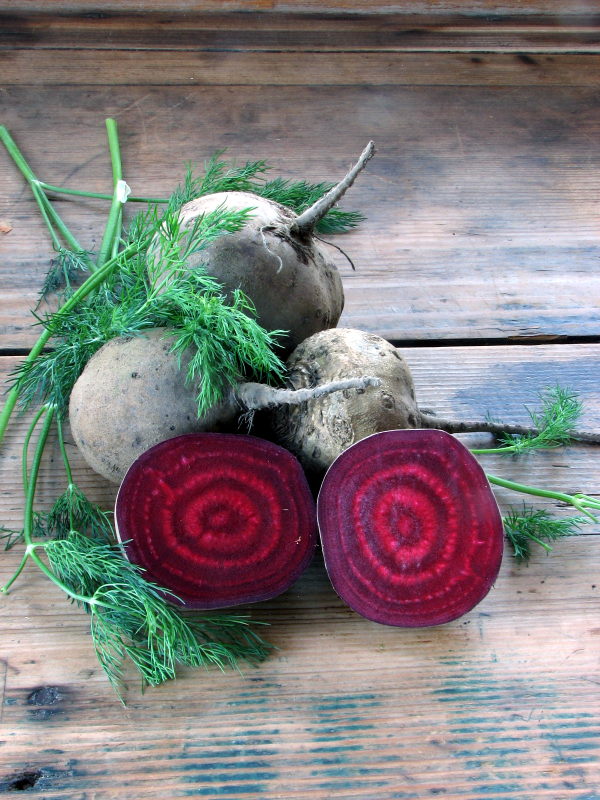 Ooooh….beets. Love them, love the color, love the taste…one of my faves. I will try this for sure, although I’ll have to cut the recipe way down because you know I’ll be the only one eating it!! Hi Dara! Thank you for taking the time to read my post, and make a comment! I know you will absolutely love it. Your boys might eat it, give it a try. I have a friend who’s son drinks the soup, and calls it beet juice. 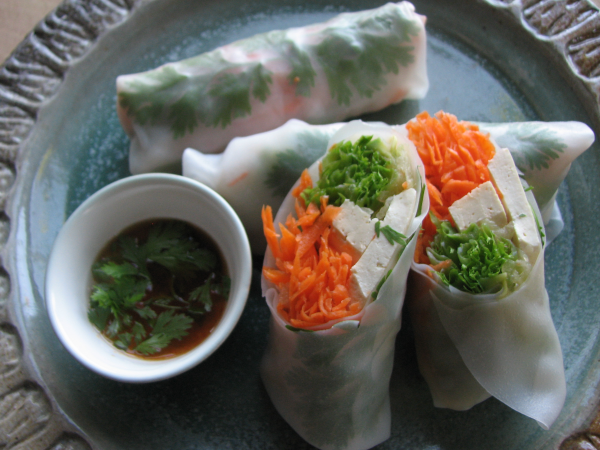 It will keep in the refrigerator for days, and it also freezes well for lunch portions. When you do make it, please come back and let me know what you think, ok? Can’t wait to make this myself! 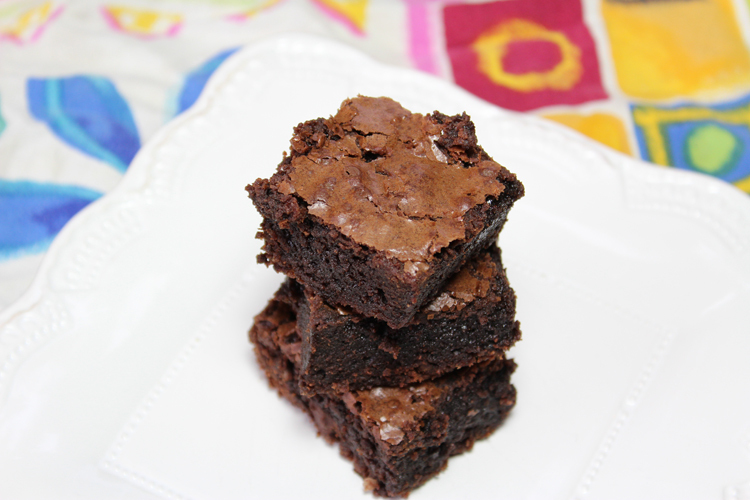 Our whole family LOVES this recipe!!! Thank you for giving us another way to enjoy beets (which we loooovvvveee). Hi Ellie! Thank you for the glowing compliments, and support! I am so happy I was able to share with you, and your beautiful family, and you all love it! You are very welcome. 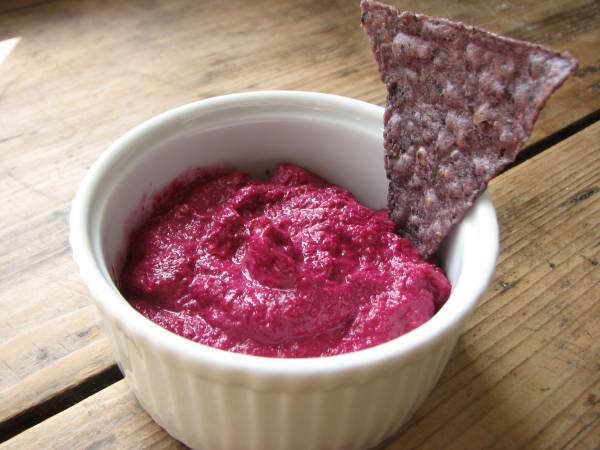 Search beets on my blog and you will find a couple recipes, including one of my favorite ways to enjoy beets, Roasted Beet Root Hummus. It is on the stove right now:) can’t wait to taste how it turns out. Determined to get someone in my family besides me to eat beets! Hi Krista! So happy you are trying this Borscht out. Hope your family loves it as much as mine. 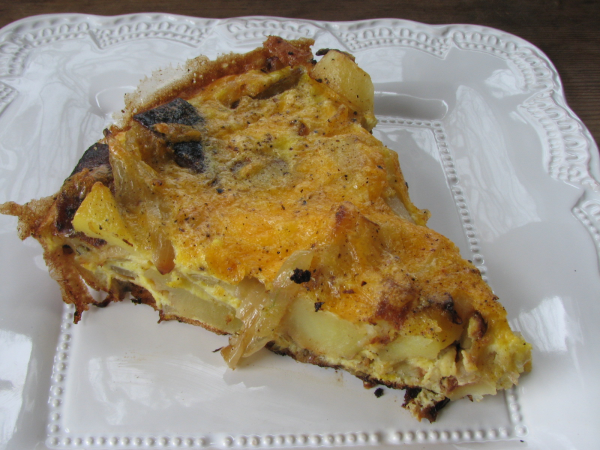 If they do not eat it hot, go ahead and serve it again the next day cold or room temperature. Call it pink soup, and talk about how princesses in Russia, and Poland eat this soup. Here is a fun fact, I just found out that Borscht is the number one food eaten at the Olympics this year. Exciting!! !